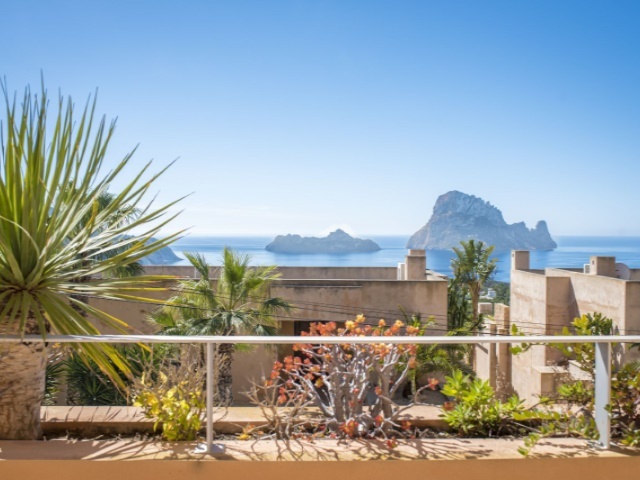 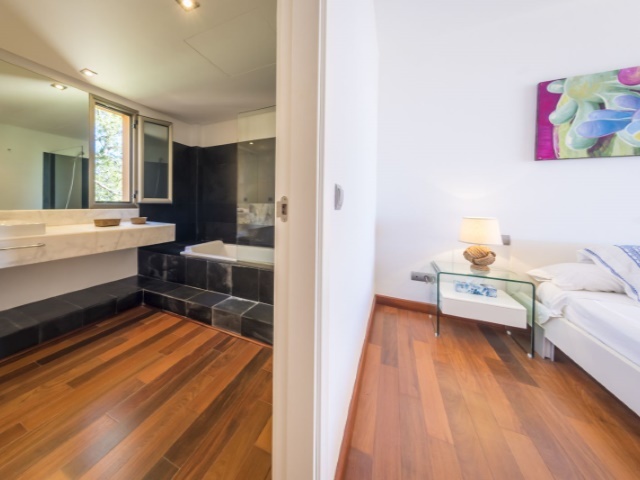 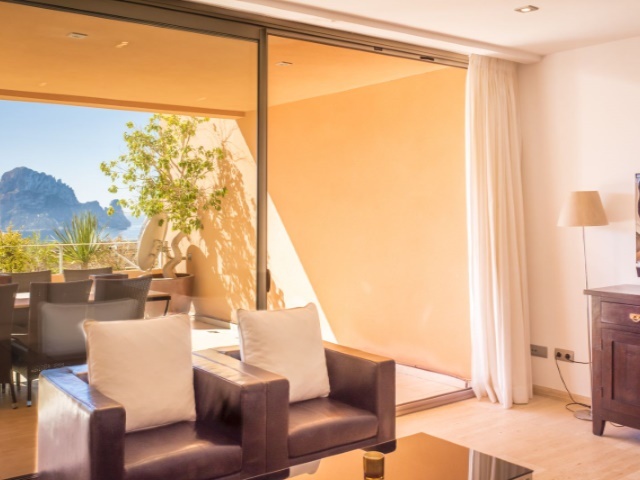 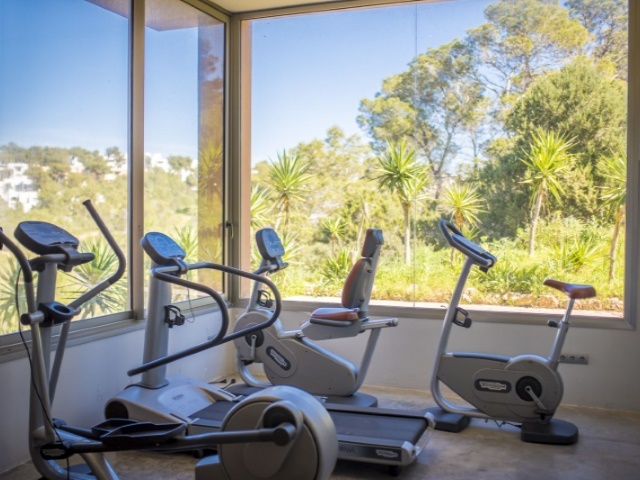 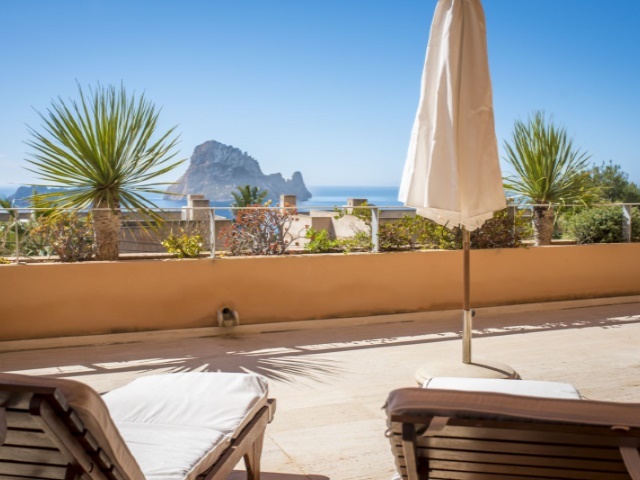 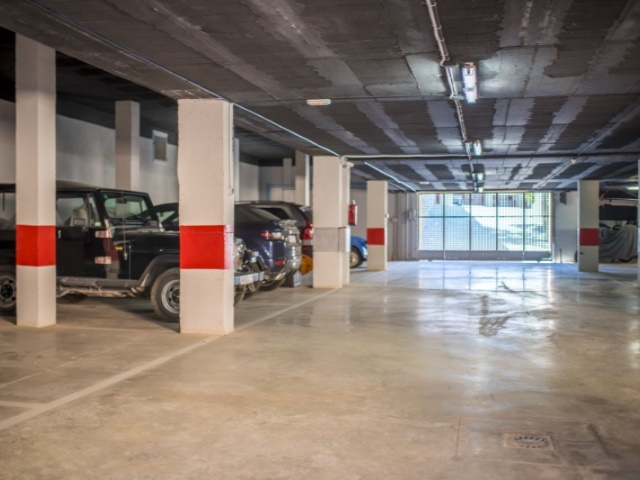 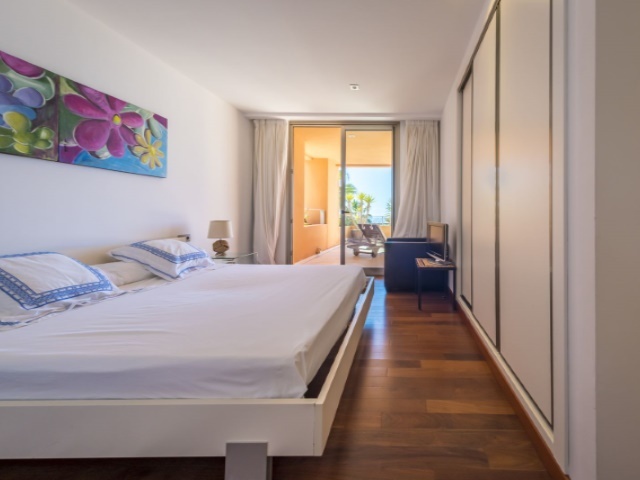 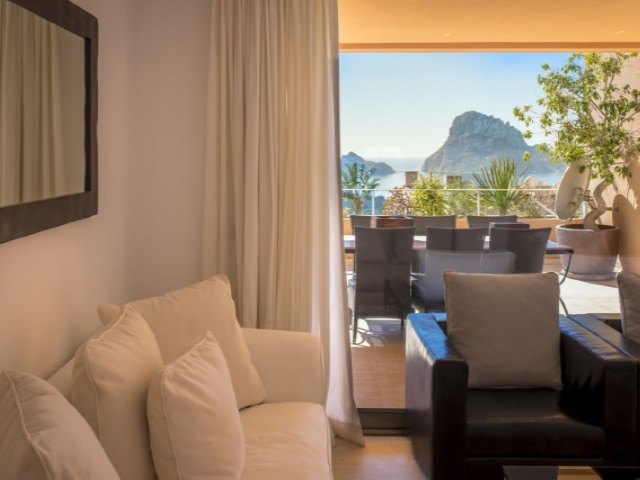 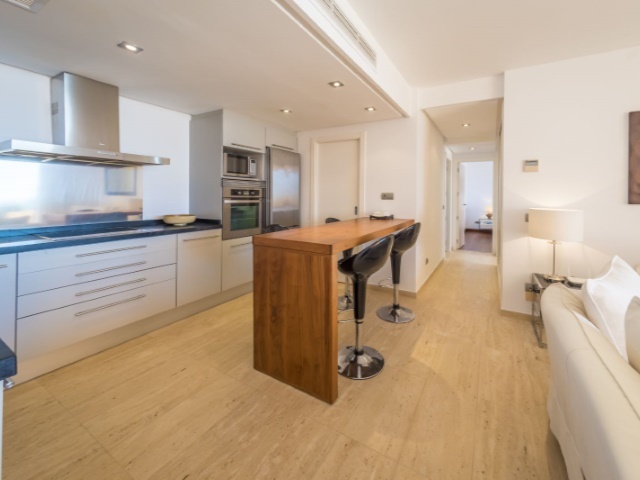 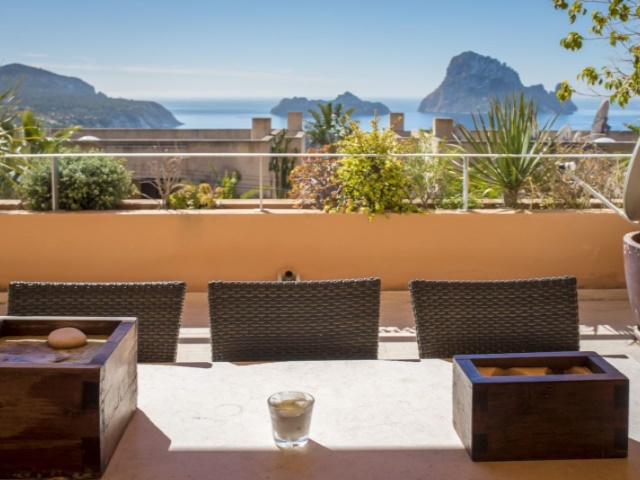 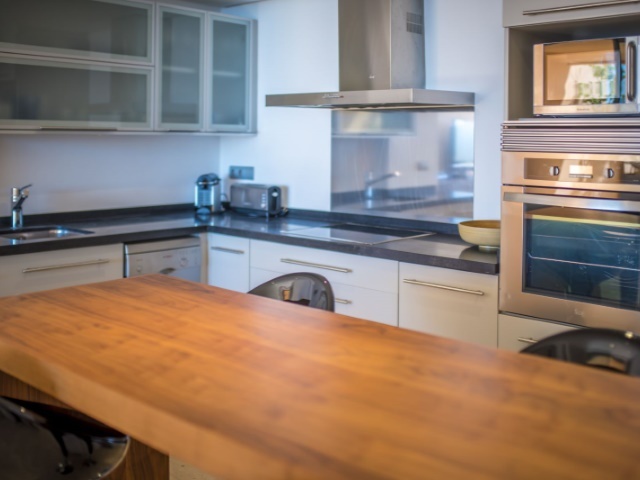 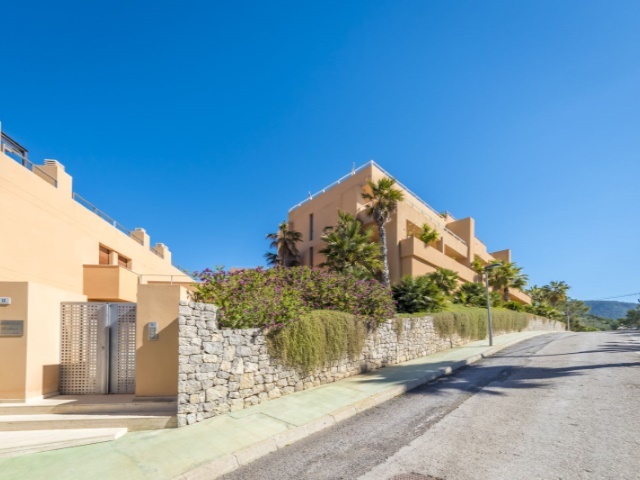 This spacious apartment is located in the Cala Carbó in a very well maintained condominium. 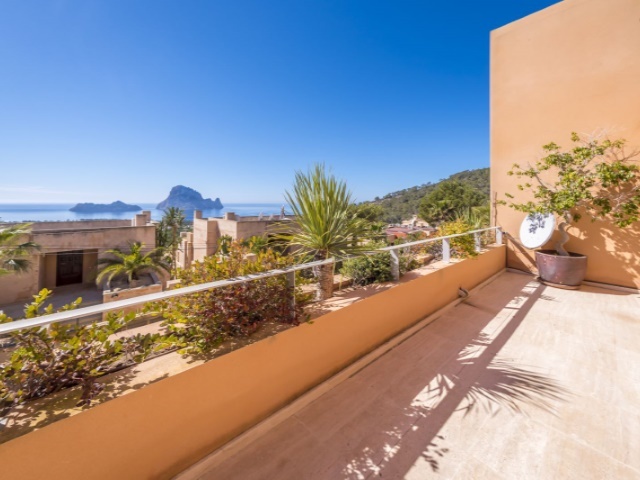 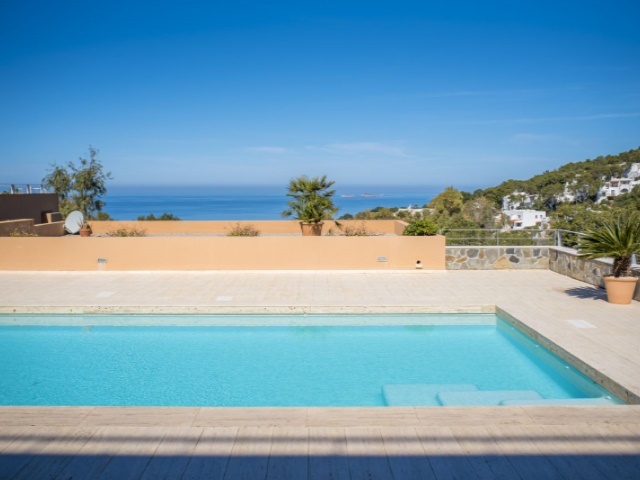 The living area amounts to 100 m2 with 2 bedrooms and 2 bathrooms en suite in the upper living area.Both bedrooms have a nice terrace with fantastic sea views. 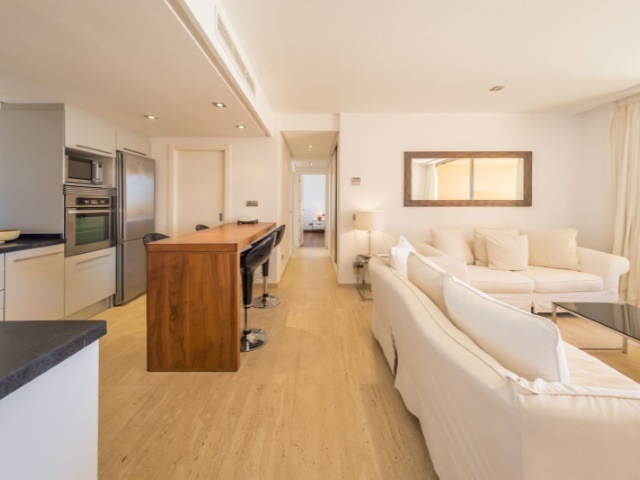 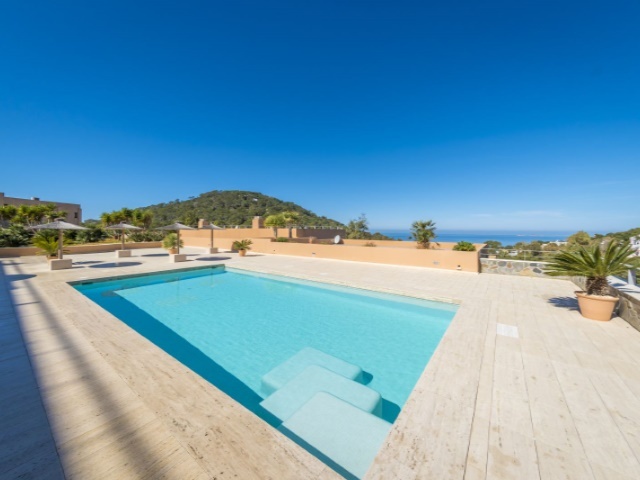 In the lower area is a spacious living room with an open modern kitchen and access to the partially covered terrace ( 40m2) with direct access to the community pool. 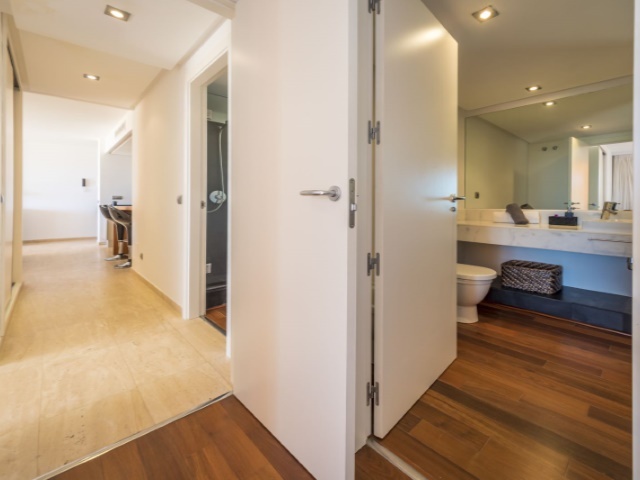 Furthermore, there is a guest bathroom in the lower living level and a patio which can be used as additional living space.